13. What Key, What Key? Stevie continued to work on his new album. By the spring of 1976 he had decided to call it Songs in the Key of Life. He had also tentatively decided to release it in May. But May came and went, and still no album. By July Motown printed tee-shirts with the message, Stevie's almost ready. By the summer of 1976 the public and the record stores were clamouring for Songs in the Key of Life, but Stevie was still not satisfied with the album. As hard as he tried, he could not get all the material he wanted to include in the album on four record sides. In the end it would be a double album plus a single, 33-rpm disc containing four songs. At last, in September 1976, it was ready. 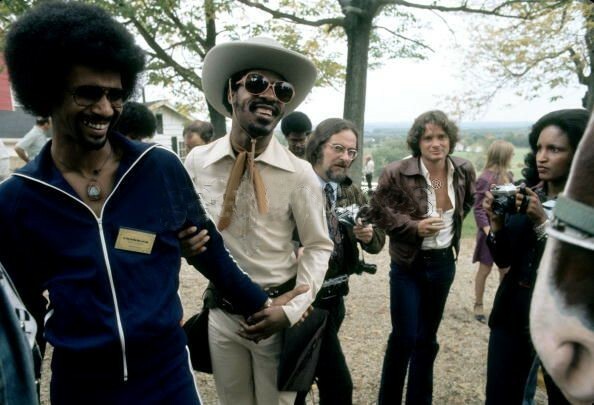 Reporters and music critics, everyone who had worked on the album, all of Stevie's publicity people and close friends, and Stevie, Yolanda, and Aisha traveled to a farm in Connecticut for a press preview of the album. While Aisha played with the farm animals and romped in the grass under the watchful eye of her mother, Stevie autographed copies of the album and gave interviews. He hoped the reporters and critics like the album, he said, but it really didn't matter, because he knew he had given it everything he had and that it was the best he could do. He need not have been concerned about others' reaction to the album. Not only did almost everyone like it, but most people were awed by it. "Brilliant," "Exciting," "Bursting," "the album of the decade," were words and phrases used over and over to describe Songs in the Key of Life. It was like a guided tour through the whole range of musical styles as well as through the life and feelings of Stevie Wonder. It included recollections of childhood, of first love and lost love. It contained songs about faith and love among all peoples and songs about social justice for the poor and downtrodden. It featured Stevie playing a host of instruments and manipulating his voice like only he could. It took no time at all for Songs in the Key of Life to reach the No. 1 spot on the record charts where it entered on it first week of release. Songs kicks off with the evocative Love's In need of Love Today. Have a Talk with God co-written with brother Calvin suggests using God in time of need - He's the only free psychiatrist in town. Village Ghetto Land with its string synthesisers provides a haunting feel while describing the life of those living in the ghetto. Contusion an instrumental, written and performed live about 3 years prior, was named after the injury he sustained in the car accident. The first side closes with Sir Duke, a tribute to Duke Ellington and other jazz greats. Side 2 of the vinyl record opens with the happy reminiscing I Wish with its famous bass intro. The first love song on the record, Knocks Me Off My Feet, has Stevie extolling his love but not trying to bore his loved one. The use of the drums to emulate being knocked off his feet is ingenious. Pastime Paradise condemns those that live in the past harping on all the negatives that are now considered evil and praises those who look to future with the positives that make life better. To add a touch of universality to the record Stevie has the Los Angeles Church Choir and the Hare Krishna devotees chant during the culmination of the song. Summer Soft plays on the theme of the changing seasons in relation to the ups and downs in love. Ordinary Pain closes side 2 with Stevie singing about the pain suffered as a result of a lost love, and then cleverly switches to the other side of the coin from where Kimberly Brewer provides her story. Side 3 opens with the cries of a baby, though not Aisha, on the song Isn't She Lovely written about the joys of his baby girl. Joy Inside My tears is a very emotional track praising the joy that the love of someone has brought into a sad life. 1976 saw grand celebrations for the US bicentennial independence anniversary. Black Man played on that theme by announcing all the great things achieved by Americans, though of all colour, throughout the years. Ngiculela - Es Una Historia - I Am Singing leads off Side 4 with Stevie singing in Zulu, Spanish and English about what his music is all about, and that is love from the heart. If Its Magic is a witty song about love, though the word love is never mentioned. As features jazz keyboardist Herbie Hancock on electric piano. Its a song with some of the most beautiful lyrics that Stevie has so graced the world with. An open-ended expression of infinite love. Another Star is a high spirited though sad love song featuring George Benson on guitar and Bobbi Humphreys on flute. At eight minutes long its a wonderful sing-a-long to bring to an end side 4 of the album. The original album came with a Something's Extra bonus EP containing 4 songs. Ebony Eyes extols the beauty of the woman even though she may be from ghetto streets. Saturn, co-written with Michael Sembello places Stevie in the role of a being from the planet Saturn looking on at the chaos humans are creating for themselves and comparing it with his peaceful life back home. All Day Sucker is about as funky as anything you will ever hear and to close of the masterpiece Stevie provides the ideal wind-down instrumental, Easy Goin' Evening (My Mama's Call), that would contrast with the beauty of the setting of the sun. 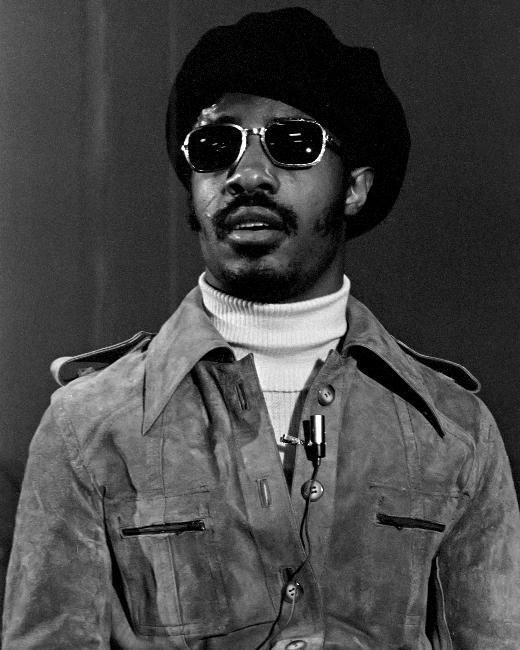 Shortly after the album's release, Stevie went on a national tour to promote it, and early in 1977 the record industry also did some promoting of the album and its artist. 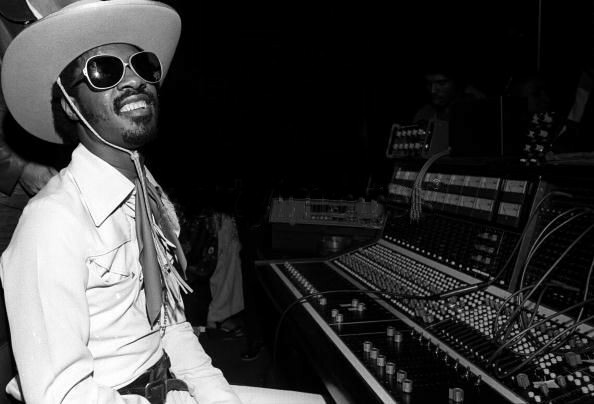 Stevie and his work were nominated for a total of seven Grammy awards, and on the February evening when the awards were presented he actually won four: Album of the Year, Best Male Pop Per former, Best Male Rhythm and Blues Performer, and Best Producer. Stevie was not present at the awards ceremonies as he, off late had an interest in visiting Africa and that February he went to Nigeria for two weeks, primarily to explore his musical heritage, as he put it. He did give a few concerts, however, one of which was scheduled at the exact time of the Grammy awards ceremony back in the United States. 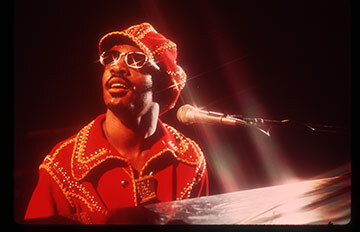 A satellite hook-up was arranged so that Stevie could be awarded his Grammies from across the sea. However the video signal was poor and the audio inaudible. Andy Williams went on to make a public blunder at the US end when he asked, "Stevie can you see us?" Taking a break from the recording studio he became a father for the second time. In April 1977 Yolanda gave birth to an eight-pound, seven-ounce baby boy. They named him Keita Sawandi, meaning "worshiper" and "founder."